It’s no secret that attrition is one of the biggest challenges facing contact centers, and it’s something the industry acknowledges. In fact, 40 percent of contact center managers want to improve retention rates among staff, according to Deloitte’s Global Contact Center Survey. So what can you do to hold on to your top performing agents? Let’s explore. Staff attrition is one of the greatest problems facing contact center managers. 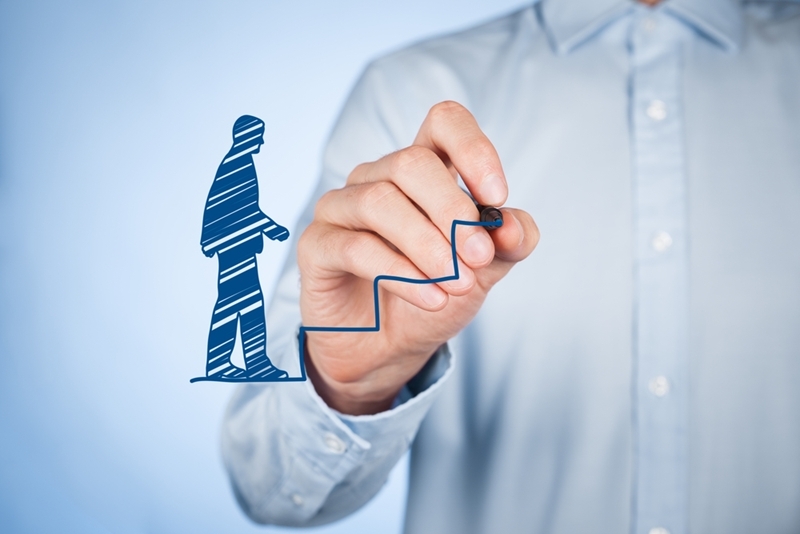 Reducing contact center attrition starts with your hiring processes. It can be difficult to know from a resume how well a candidate may suit your company, but it’s important to begin building an idea as early as you can. Cover letters in particular should allow you to gain an understanding of how their past experience sets them up for life in your centre, but also what they expect from the role, and how they might fit into the structures you have in place. Your hiring process should determine whether someone will slide seamlessly into your culture. This information can then be added to at the interview. As well as digging deeper into their professional skills, a substantial proportion of this time should be allocated to determining whether the candidate will slide seamlessly into your culture. A good indicator comes in the form of their soft skills. Soft skills is a category that includes attributes such as communication, leadership and collaboration, all of which permit people to work well alongside others and produce an atmosphere where people want to stay and develop. Opportunities to progress finished second only to a good work/life balance in the list of factors attracting millennials to a workplace, according to Deloitte’s 2016 Millennial Survey. Once hiring is complete, therefore, part of the onboarding process should involve giving your new recruits a clear picture of not only their own role, but what they can do to advance. Crucial to this is having well-defined and easily available employee handbooks. Among other things, these should detail incentives for good performance, as well as Key Performance Indicator (KPI) targets that need to be met. This approach gives your staff something to aim for beyond their day-to-day targets. Though, as we will see in point four, these are also important when it comes to improving retention in contact centers. Employee handbooks are great ways to show the opportunities for promotion. A great way to go the extra mile for your staff, and increase their loyalty to your business, is to personalize the incentives you offer. This could be something as simple as giving employees a range of options if they’re eligible for a reward, showing that you take these processes seriously and aren’t simply going through the motions. Digital rewards are also a great option. Acknowledging high achievers on social networks such as Facebook or LinkedIn provide public acknowledgement of good results, and even a well thought-through email can be an effective way to build manager-staff bonds. Using trackable metrics is an essential aspect of managing agent performance and the quality of client interactions. This not only ensures that your customers experience a consistently high standard of service, but also allows you to catch potential problems and turn them around. Tracking performance using metrics gives you the chance to catch problems and provide a solution. Using metrics allows you to identify areas of weakness and provide the necessary training to bridge gaps. As well as showing interest in the professional development of your individual agents, this proactive management can halt the disenchantment that often comes with poor professional performance. Ultimately this may result in preventing an employee from leaving the company. However, even when employees aren’t missing targets, providing regular commentary to staff, based on the insights gained from metrics, is highly recommended. In fact, 51 percent of millennials surveyed by PwC said that feedback should be given very regularly or continuously, and the more detailed, the better. Vital to preventing unnecessary loss of staff is creating a culture where agents feel comfortable talking to management about problems they may be having. As these issues may range from professional to personal, it’s vital that leadership are properly trained to make these interactions productive. As with feedback on trackable metrics, these are opportunities to catch issues before they snowball and provide a resolution that aids with retaining the staff involved. However, sometimes enlisting the help of outside experts can be the best solution. Call Design’s Contact Center Consulting service is designed to help managers who are too close to identify the root cause of what is preventing an easy fix to culture problems. This service will optimise the running of your contact center down to the smallest details, including leadership skills that could help you better understand the challenges facing your staff. Exit interviews provide a valuable opportunity to learn how you can improve your systems for future employees. Even if you adhere to all the guidance mentioned in this article, from time to time staff will leave. Rather than view this as a failure of your retention initiatives, use it as an opportunity to learn why this employee felt it was time to move on. This is a golden chance where the individual in question is likely to be far more honest than they were during their tenure at the company. If there was no single reason that led to their departure, you can still gain valuable insights on what they feel your organization does well, and what could be improved. Learning from past mistakes and engaging with your staff is integral to reducing attrition in your contact center. However, if you want more information on the relevant professional services you can make use of, get in touch with the team at Call Design today.